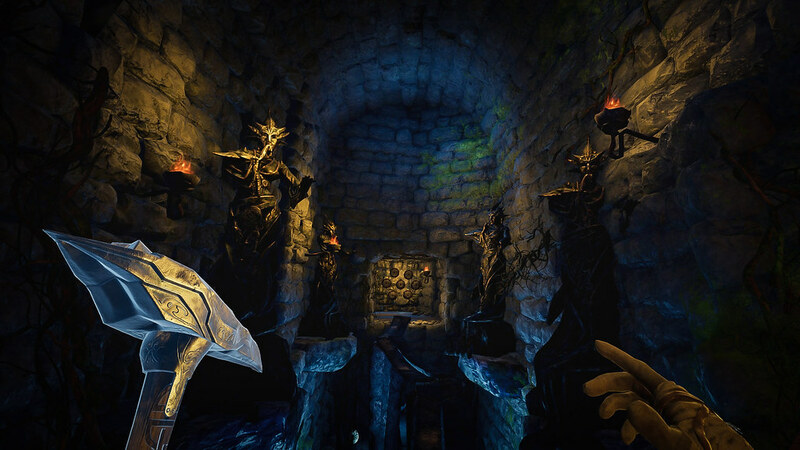 We’re thrilled to finally bring The Mage’s Tale to the PlayStation VR community. 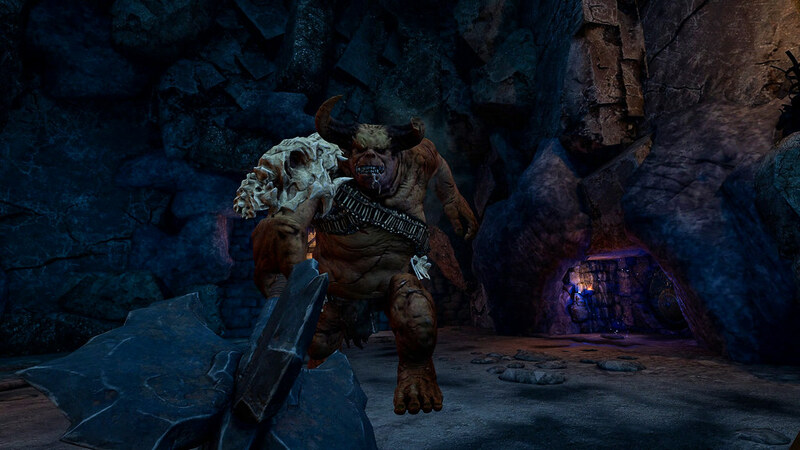 The Mage’s Tale is a 10+ hour dungeon crawler RPG set in the world of The Bard’s Tale series and designed from the ground up for virtual reality. Exploration, combats, puzzles to solve, and secrets await every player who dons the PS VR headset. When your wizarding master is kidnapped, it’s up to you to rescue him and complete your journey from apprentice to master mage. You’re armed with nothing but your wits, raw elemental power, and your own wizarding workshop in which you can craft hundreds of different spell combinations. The unrivaled immersion of VR allows you to tell your very own Mage’s Tale. For inXile CEO Brian Fargo, VR was the realization of something that he had been striving for his whole gamedev career. When he helped create The Bard’s Tale in 1985, it was about providing a way of making players feel like they were exploring a fantasy world — to capture the spirit of tabletop gaming in a video game. 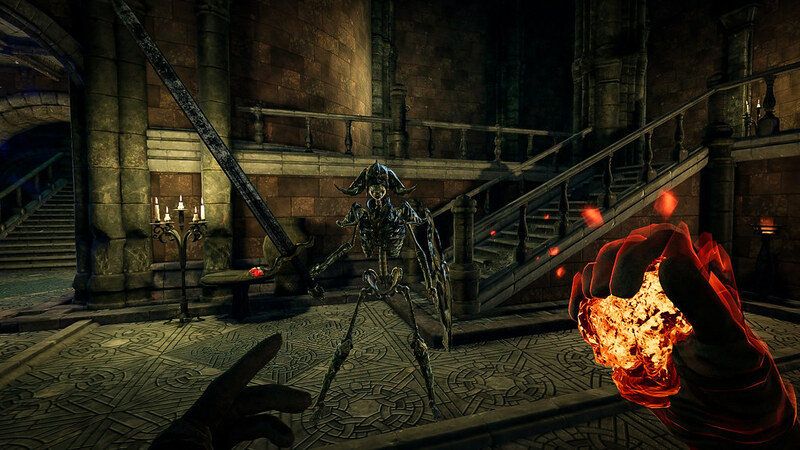 With the arrival of VR, we now had the power to put players into the dungeon, the world alive and full of danger. They no longer have to imagine their surroundings. They are there. To fulfill that power fantasy of being an all-powerful wizard, it was critical that we make you, the player, feel in control. VR really shines when you get to be creative in how you interact with the world. If a player walks into a room, sees an object, and says to themselves “I bet X will happen if I do Y,” it’s our jobs as developer to make as many of those intuitive jumps come true. Because each time your expectations aren’t fulfilled, you feel more like you are in a game and less like you’re in the magical world of Caith. We extended that philosophy to our world building, combat systems, and crafting systems. For example, one of our favorite moments happened at GDC while demoing the game. Our GDC volunteer decided to craft an anti-gravity windblast landmine with confetti. He threw down a landmine right before a goblin warrior went in for the kill. The explosion threw the goblin up into the air and into the roof of the dungeon, causing an explosion of confetti. As the confetti filled up the room, the player switched back to fireballs to blow the poor goblin up on his way back down. It was one of the coolest moments and combos that we have ever seen. 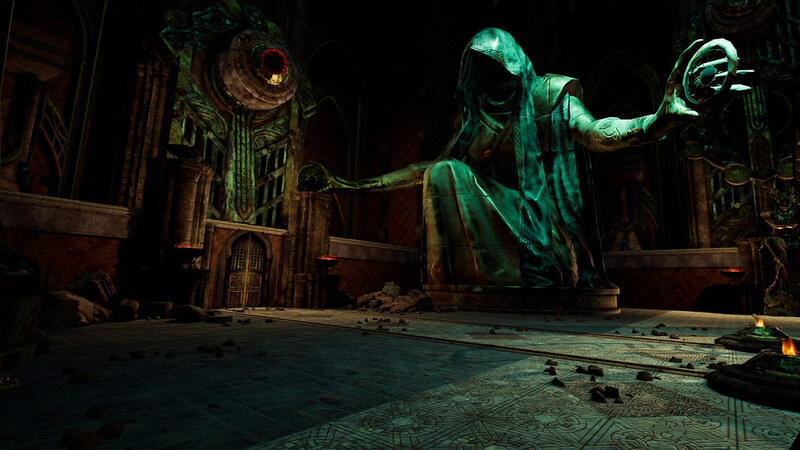 VR game development was completely new to inXile and relatively new to most gamers as well. Because of that, we put an emphasis on early first time user experiences (FTUE) to really wow people who were new to VR and blow them away with its potential. We noticed that players wanted to poke, prod, and examine everything in the dungeon and around them — whether igniting cobwebs, picking up bones, trying to kill bats, blowing up crates and barrels, or anything that let them feel that they were “there” in the world. Therefore, we turned all those little things (Non-Essential Funds in gamedev speak, items that provide flavor rather than direct gameplay) into interactables. As important as it is for a game to look good, it’s probably more important for a VR title to feel good. We realized early on that everyone was looking for different things when it came to their play preferences. We made immersion one of the core product pillars, and that meant it had particular rules that we had to follow. Shortly after our initial release we found that there’s no one-size-fits-all approach for action VR experiences like ours. We’ve added many options for both comfort and immersion for you to set. For example: a reticle for aiming helps, but doesn’t feel “real” to some players. Smooth Movement feels “real,” but makes many people seasick. VR needs more options to work outside of the normal choices that players are used to. With that line of reasoning in mind, we implemented Step Movement, Step Turning, Smooth Movement, and Smooth Turning (with speed adjustment) — and, since the player is a mage, they still get an aimed teleport as well. Along with the movement options, we also gave the player the ability to see their reticle or hide it, and show or hide the sensor if the player loses tracking. All of these things matter because VR is all about the experience. 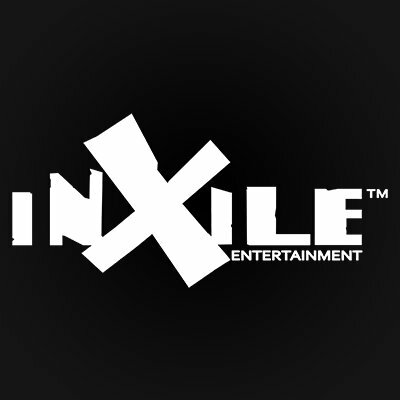 At inXile, we’re known for our classic-styled RPG titles such as Wasteland 2 and Torment: Tides of Numenera, so when we announced The Mage’s Tale, it came as a surprise to our fans. For many of us at the studio, VR was an opportunity to realize gamedev dreams decades in the making. 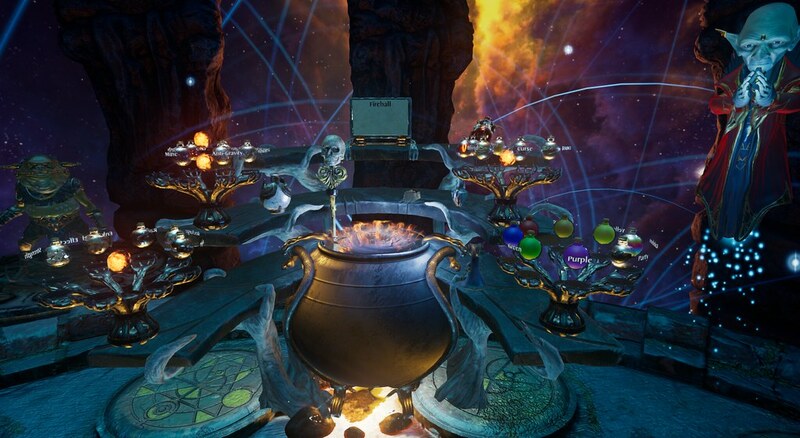 At the time we were developing The Mage’s Tale, most VR experiences were more tech demos than games. As a RPG company, we really wanted to create a full game experience in VR — a story, character progression, exploration with secrets to be found, and different systems to master. Everything about the game — the combat, the exploration, the crafting, the puzzles — is designed with VR in mind. The more a player feels a part of the world, the more they can lose themselves in the gameplay and have an amazing playing experience. 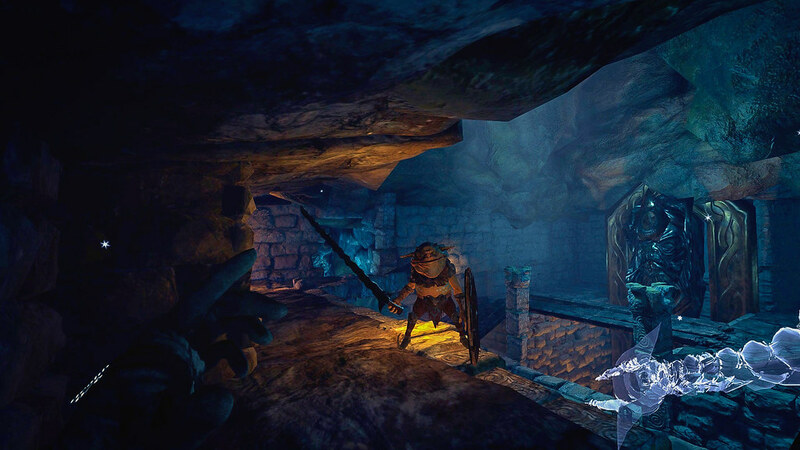 With PS VR, Sony has made an incredible commitment to VR gaming and we’re thrilled to finally bring The Mage’s Tale to a fanbase that has been patiently waiting for this day for a while. Thank you to Sony and thanks to all of you who have asked after a PS VR of the game. Your enthusiasm is what made this moment a reality and we hope you enjoy the adventure! I played the original Bard’s Tale way back in the day on an Apple ][e. Can’t wait to experience this now in VR! Hope you have fun with it! Brian Fargo’s inspiration for doing The Mage’s Tale was to do what The Bard’s Tale really couldn’t – actually put the player right there in the dungeon for their adventure! Just downloaded this & got as far as The Chasm. I had to take a break to come here & give a sincere thanks to inXile for bringing this utterly FANTASTIC game to PSVR. As far as I can tell so far, everything in your post above is spot on. Truth. Awesome, thank you! Have a great rest of your time with the game! Be sure to have some fun with the spell-mixing! Probably too much to ask, but will we see a return of Bard’s Tale 2004 voice actor Cary Elwes (Princess Bride, Robin Hood Men in Tights)? Not sure if it would be the same without Tony Jay (The Narrator)! No plans right now, but “never say never”! Does it support the AIM controller for more intuitive controls? Please tell me its out or coming out soon and not in a download form…. Loved it on Vive and loving it on PSVR. Really shows what VR is capable of in the right hands.